It is a mosque built in the Makraba village near Ahmedabad. It is the most revered mosque in Gujarat as it was the residence of the great prophet Ganj Baksh. It was he who advised Sultan Ahmed Shah to make Sabarmati as his capital and then he will flourish more. This mosque was also built according to his instructions only. It was later completed by Qutbuddin II in the mid 15th century. But the final glamour is credited to the next Mughal Emperor Muhammad Begada. It is said that this mosque has both ‘Jism’, which means body and ‘rooh’, which means spirit in it. This gives you an essence and the presence of the great priest here till now. It was originally set up on a vast area which has now reduced due to the upcoming and already settled families. The mosque is surrounded by beautiful gardens on all sides and also fantastically structured tombs also. All this gives the complex a very classic and ancient feel. The creation of the temple design is the expertise of two Persian brothers namely, Azam and Muazzam. This also has splendid lattice work that is patent in all Islamic monuments. This temple is majorly based on the oldest Mughal architectural styles. Here, it is a lovely combination of Islamic, Hindu and Jain designs. The pillars and porches are made in Islamic styles but the motifs carved on them are more of Hindu and Jain style ones. There is also a pavilion and a large tank in the courtyard that has since the construction been used by common men. The nearest airport is Sardar Vallabbhai Patel Airport. The nearest railway station is the Ahmedabad Junction. How popular is Sarkhej Roza? People normally club together Dada Hari Ni Vav and Sabarmati Ashram while planning their visit to Sarkhej Roza. Sarkhej Roza is a historical monument with intricate & elegant architecture. It was the repose of a Sufi Saint with its quiet & secluded environment. Which later became a summer resort for the reigning kings of the time. It still has a calming effect once you enter the complex. 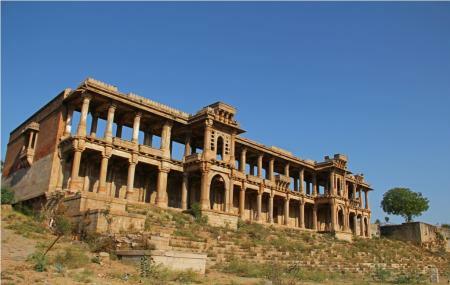 Sarkhej Roza is one of the most elegant and unique architectural complexes of Ahmedabad. It is one of the early Islamic architectural culture of the region, which fused Islamic stylistic influences from Persia with indigenous Hindu and Jain features to form a composite “Indo-Saracenic” architectural style. The architectural style of Sarkhej Roza is a precursor to the Mughal period in a true amalgamation of Hindu, Jain and Islamic styles. Peacfull place must herriage a big area well constructed. Sarkhej roja is situated in makarba village which is in ahmedabad . 7 km south west of ahmedabad. The main thing of roja is its architecture work and there are too many mosque. Sarkhej roja build by Islamic king Ahmed Shah. It is a one of the best for visit in older ahmedabad . Here everyday number of locals as well as foreign visitors visit that place .